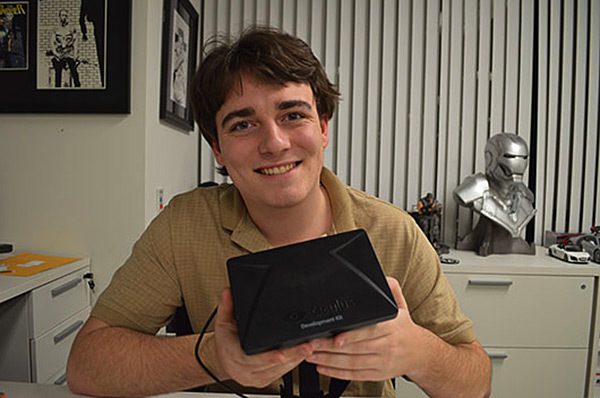 Oculus Rift’s purchase by Facebook will make a lot more sense to detractos at the end of a year, according to company founder Palmer Luckey. “Knowing behind the scenes what’s going on and what we need money to do and what we’re going to be able to do with this deal, I know for myself that it’s the best that we could possibly do,” Luckey said in a video interview transcribed by Gamespot. Luckey reiterated earlier messaging that the Facebook purchase gives Oculus the cash and stability retain its autonomy, and build custom components, as well as commenting, again, that Facebook and Oculus have the same big picture vision for virtual reality as a platform. Oculus can now hire the right people, he added, and developers are more interested in working with the platform. Oculus can also fund more games itself.